The 100 Leaves Project will be a new and exciting venture joining in with the 100 day project from the 2nd of April until the 10th of July. Creatives participate worldwide by committing to making or doing something for 100 continuous days. 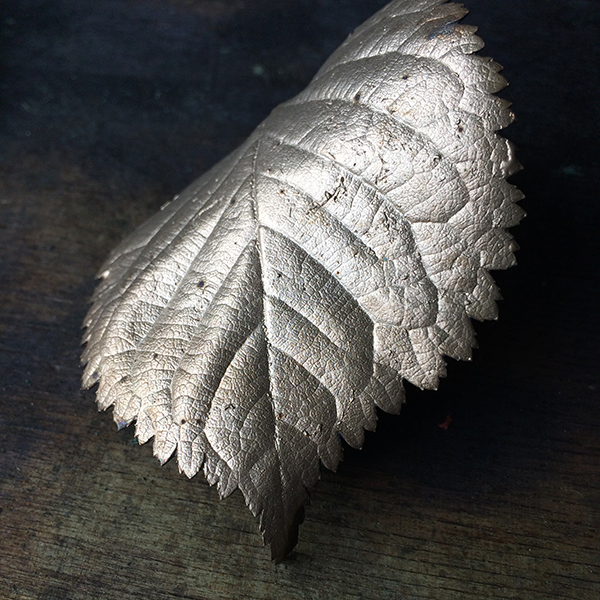 Our plan is to collect each day a single leaf from a different location that will be cast in bronze. 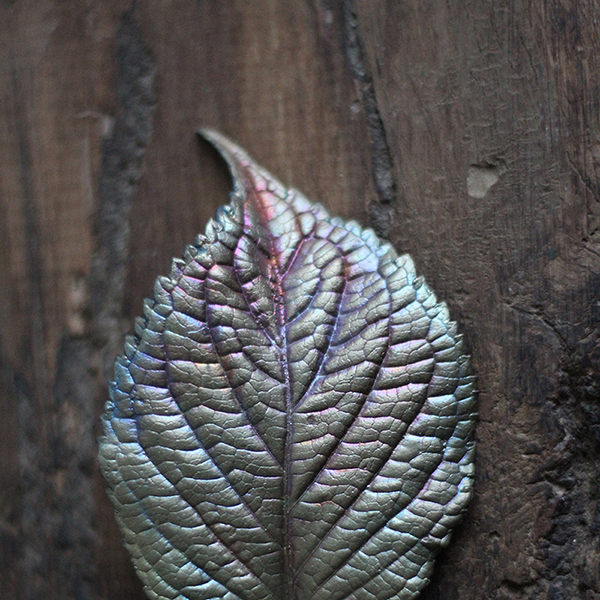 In the end, there will be 100 unique bronze leaves cast directly from real leaves coming from all over the UK where we travelled throughout this time. On the reverse of each bronze leaf we will engrave the name of the leaf, the location and the date when it was collected. 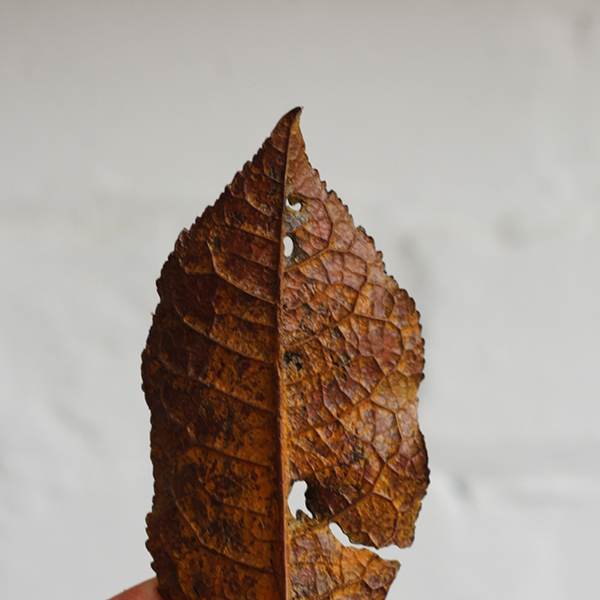 This project will document 100 days from our art practice, a three dimensional map and diary made of leaves. 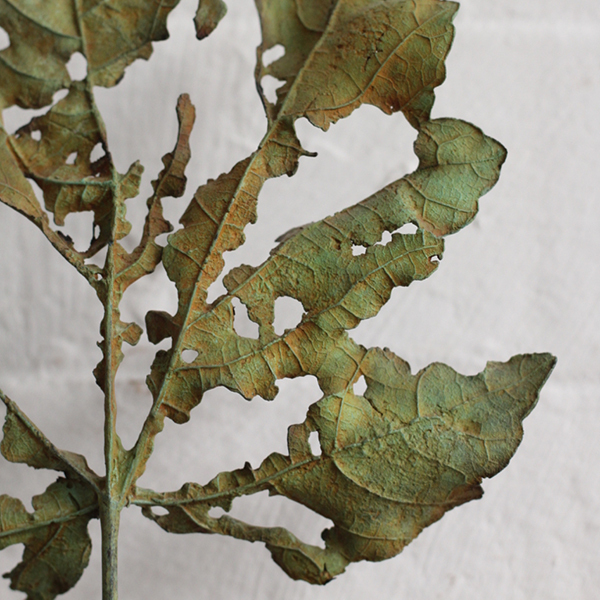 We are launching the bronze leaf subscription service to fund the 100 Leaves Project. At the same time, we hope this service will make our work more accessible and affordable by spreading the cost of a bronze leaf sculpture. It will take shape in the form of a monthly recurring payment of £10 a month for a period of 12 months and will be limited to 100 subscribers in the first year. It will be open to subscribers internationally and the monthly cost will include shipping worldwide. You will receive subscriber only content by email in your mailbox every fortnight from beginning till the end of the project: for a period of 8 month in between April and November - 1st newsletter goes out on the 1st of April and the last newsletter you will receive on the 25th of November. As our subscriber you will also be able to choose one of the 100 leaves. Each of the leaves will be entirely unique solid bronze castings of the real leaves collected during the project. You will be taken on a journey as this bronze leaf collection comes into being and will receive a small part of it to keep as a memorabilia. 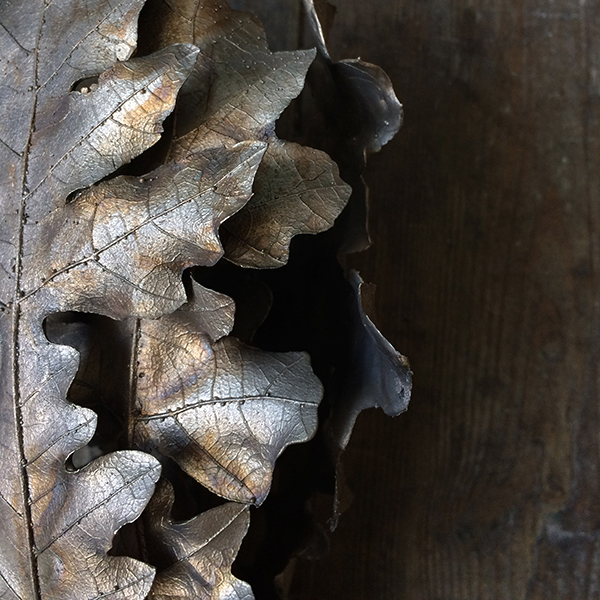 All bronze leaves will be dispatched by the 20th of November and will arrive to our subscribers before Christmas. Please note, the duration of the 100 Leaves Project is 8 months, but the subscription is running for 12 months. After the completion of the project, in the last 4 months of your subscription, you will still receive updates. What range of leaves will you collect? It will mostly be native species growing in the UK with the occasional exotic species coming from botanic gardens or other special locations. Can you guarantee there will be an oak or ash leaf amongst the 100 leaves? Yes, there will be at least one of each of these leaves. How will subscribers choose their leaf once the collection is complete? Photos and videos will be made of all the 100 bronze leaves. These will be shared on our website with all subscribers in November. The bronze leaves then can be claimed on a first come first served basis. What size the bronze leaves will be? They will vary in size, just as much as the real leaves that grow in nature do. The leaves we collect will be between 3-10 cm, depending on the type of leaf. How will these leaves be presented? 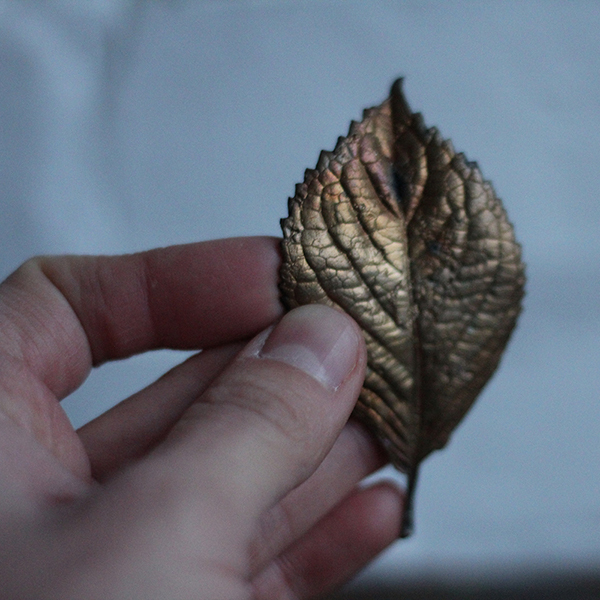 All bronze leaves will be freestanding, without any additional mounting or base. If any of the subscribers wishes to commission a base or wallmount before we dispatch the bronze leaf, it can be arranged for an additional cost. Do you have an idea what locations will you collect leaves from? All locations will be within the UK. Some in cities, others in the countryside. If there is anything else you wish to ask, please send an email. The bronze leaves pictured here are for illustration purposes only. If you wish to see more examples of our work, please go and see our instagram and twitter accounts. Entire website copyright ©ashleaf 2019. All rights reserved.